Citing the popularity of social media, if you have invested your time and money in social media app development, it’s time to pay attention at how satisfied users are with your app. You need to effectively measure that how much relevant your app is to your audience’ needs. Here are top 5 app metrics signaling green to the effort of your social media app development company. Heatmap analysis helps in recording each and every user interaction, including touch/tap, swipe, scroll, etc. This helps in understanding that which part of the app is getting the most attention, what content users are most interested in, and where are users getting stuck, and so on. These indicators, represented in color-coded fashion, are important in assessing the success and failure of the app. Take cognizance of the problematic areas, and approach your social media app development company to get significant changes done to your app in order to make a user feel good about the app. This is one of the vital app metrics speaking a volume about the user experience that your app delivers. So make it easier for users to rate your app without leaving it. But don’t make the feedback collection intrusive. You shouldn’t expect users to rate your app without thoroughly using it. Ask for it, when users have spent sufficient amount of time with your app. The reviews are good indicators too. While good reviews are encouraging, the negative reviews could be inspiring. Listen to the audience what they don’t like about the app, or what changes they want to see in it. 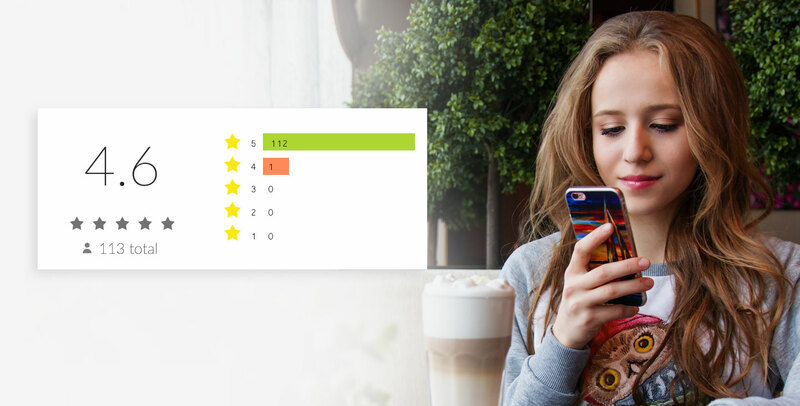 The better you do it, the better is the chance of your app getting used and recommended. This is another quick and easy way to learn about what users feel about your app. Incorporate in-app feedback survey form, contact form, or shake-to-send feedback prompt to let users tell you about their experience with the app without leaving the app-session. To dig more insights about the users, ask your social media app development company to add in-app feedback tool that can collect device type/model, OS versioning, and other diagnostic information. This will help you to address user experience problems on a personal level too. Also, add a help section in your app with more contact options to stay in touch with your users. Inclusion of an FAQs section is desirable too. Problems with technology are inevitable. You know the fact well and so does your user. However, the only thing that makes a difference to the user experience is how effective and quick you are in addressing those problems. Support response time is one of the important metrics of customer satisfaction, and you must make ample arrangement and effort to reduce it. Adopt a multi-channel customer support through email, chat, voice, etc. Make support response time an integral part of your customer support desk. This will help you keep a track on how efficiently your customer support team is performing. This is a scale to evaluate how likely users are to recommend your app to their friends, family members, or other acquaintances. Generally, the scale is from 1 to 10, where users hitting 9 or 10 marks are promoters, who are most likely to recommend your app. Those who hit the medium marks, say 6 to 8, are considered as passive, while rest are considered as detractors. The net promoter score equals the percentage of promoter minus the percentage of detractors. Hence, if you really want to ace customer experience, you must make a social media app that urges people to share it across their connections. The sharing of the app can be eased with the help of Firebase Dynamic Links. According to Statista, people spend almost 135 minutes a day on social media. Hence, investing in social media app development is a wise decision. However, you must take into cognizance the stiff competition that prevails in the social media space. Actually, there is no threshold of user experience quality, and you should always strive to make it better with every attempt.